Heaven, it turns out, is exactly how I had always hoped it would be; a small restaurant with tables looking out over a vineyard, a glass of fine Pinot Noir at hand and duck. Slow roasted, melt off the bone, duck confit to be precise. Looking down over the vineyards of Hamilton Russell it is easy to see where the valley’s name , Hemel-en-Aarde (Heaven and Earth) comes from. Now South African W.O. (Wine of Origin) laws have divided the district into Hemel-en-Aarde, Upper Hemel-en-Aarde and Hemel-en-Aarde Ridge. No no, my friends, Heaven is in a small valley about an hour east of Cape Town and the chef in residence is Stefan Louw. It was there on the Newton Johnson Family Estate that Stefan whipped up one of those pairings that stick in the memory for years after the fact. Rich duck, braced by butternut, orange marmalade and the earthy sweetness of beetrootcut through the youth of the Pinot Noir. These flavours tamed, smoothed, rounded and showed off the wine it will be, and then some. Chef Stefan Louw at work in his restaurant, Heaven. His creative, bistro style menu and passion for sourcing locally grown, organic ingredients have earned his restaurant a loyal following. Featured here is his “Half organic duck done 2 ways”. A confit leg and pan seared breast served on buttered thyme gnocchi with a macedoine of ginger glazed carrot and beetroot, butternut puree and orange marmalade jus. 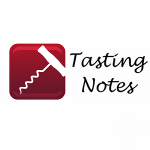 The Pinot in question is widely regarded as one of South Africa’s finest, the current release of Newton Johnson’s flagship red, the NJ Family Vineyards Pinot Noir 2010. It’s something of a platonic Pinot, silky and complex with deft touches of cherry, spice and earth, but then, there is a touch more. It is not a Burgundian classic or a superstar from Oregon or Marlborough, and it doesn’t want to be; it is proud of its origin, Hemel-en-Aarde. The Hemel-en-Aarde Valley (Afrikaans for Heaven and Earth) is a true gem in South African wine tourism. Located mere kilometers from Hermanus, a beach holiday town and world renowned whale watching hotspot, the valley has a relaxed seaside ambiance and quietly lures visitors to join in and enjoy the finer things of life. Stretching some twenty kilometers inland from the sea along a single road with twelve wineries dotted along its length, the flanking mountains loom over immaculate vineyards making it one of the most beautiful wine routes in the country. (And one of the easiest to navigate; it is impossible to get lost, a blessing that anyone familiar with notoriously vague wine region maps will appreciate.) Beyond their touristic value as guides and postcards, these mountains also crucially create a funnel for the Atlantic breezes that give the area its characteristic cool climate. It was these lower temperatures along with marginal shale and stony clay soils that in 1976 first drew Tim Hamilton Russell (Hamilton Russell Vineyards) to break free from the traditional wine production regions near Cape Town and Stellenbosch. His focus on Burgundy varietals — and later Peter Finlayson‘s,who started as winemaker at Hamilton Russell and then went on to form Bouchard Finlayson — would come to define the valley. And their successes would make them the fathers of South African pinot noir. Among the first of the country’s terroiristes, they envisioned a valley dedicated to chardonnay and pinot noir and over time, worked to develop wines of European style but with that holy grail, an unmistakable sense of place. Since then, as new blood and new ideas flowed into the valley, the varietal scope has broadened significantly. Sauvignon blanc is now the most widely planted grape and new Rhone-style, syrah based blends are being received with ever more critical and popular acclaim. The old guard of Finlayson and Hamilton Russell lament the loss of an opportunity, unique in the South African context, to create a district dedicated to just two varietals, but economic realities tend to intrude. Being a low-yield, cool climate area, wines from Hemel-en-Aarde are already seen as expensive. Without the hugely successful Sauvignon Blanc wines to back up their portfolios, prices would be even higher. Co-owner of Creation wines Caroline Martin recalls when in 2002 her husband proudly brought her to the land that was to be their wine estate; it was a sheep farm. Ten years on, they are owners of one of the most popular wineries in the valley, their wines are extremely well received and on an autumn day the view is simply magnificent. Situated near the northern extreme of the district is one of the newest kids on the block, Creation Wines, a winery that has been very successful at breaking the mold. Since their first vintage in 2006 they have been hugely popular and the quality of their wines is already excellent, with their Syrah/Grenache blend stealing the show. Beyond the wine though, they are taking a lead with innovative oenotourism options that gett visitors blending in the cellar, strolling the vineyards and snacking on cleverly designed food and wine pairings. These hugely popular pairings have done wonders to open the valley up to a less specialized wine crowd. Along with Stefan Louw’s fine, locally sourced cuisine (he also makes the best breakfasts in the valley) they are only the tip of a small but excellent culinary iceberg. La Vierge, across the road from the Newton Johnsons, has a deck that boasts the best views in the valley with a great menu and tasty MCC [Method Cap Classique] sparkling wines to tempt you to extend your stay. A little further up the road, tucked away off a dirt road is Moggs Country Cookhouse, a rustic paradise all about heavy wood and home cooked food that is like a warm hug for a food lover. Market day at Hemel-en-Aarde village. Pictured top left is Gerrie Heyneke, one of the shareholders of the Hermanuspiersfontein Winery, here in his role as master of the cheese and cold-cuts table. Any visit should be timed to include a Saturday, market day at the Hemel-en-Aarde Village guarding the entrance to the valley. 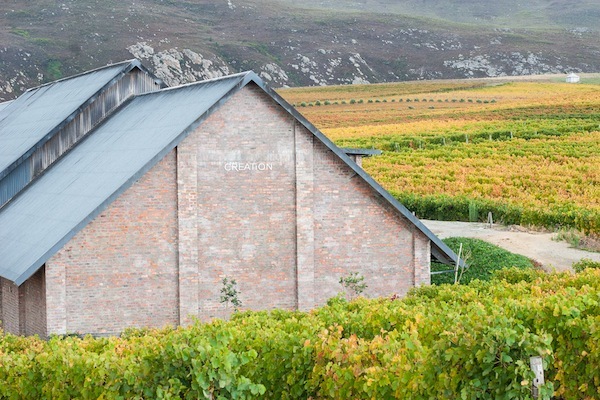 Hermanuspietersfontein, a winery whose winemaker, Bartho Eksteen is one of the kings of South African Sauvignon Blanc, organizes a weekly food and wine market showcasing local producers. A visit to the market reminds one of the valley before wine arrived; now its rich farming heritage is blended with trendy market culture. The little courtyard is full of tables groaning under charcuterie and cheeses, freshly baked breads, savory pies, olive oils, preserves and even a small coffee bar with a barista on hand to pep you up should all the wine become too much. Craig Wessels in his garage / winery, keeping an eye on his newly pressed Chardonnay. A self-taught winemaker, he produces a less than a thousand bottles every year, “mostly by feel, instinct”. There is no better way to round out any trip to Hemel-en-Aarde than with a look back into the soul of wine making. Here, the gatekeeper is Craig Wessels, purple handed and bright-eyed with an absolute devotion to what he calls honest wines. His winery, Restless River produces only a few thousand bottles of Cabernet and Chardonnay, each one lovingly coaxed from vine to bottle. Self-taught, his vinification is slow and old-school: minimal intervention, heavy green harvest, basket press, natural yeasts—although now he’s testing cultured yeasts for some of his chardonnay barrels, I suspect mostly for the joy of the experiment. Everything is “human powered” as he puts it: no pumps, plenty of buckets, no tricks. Craig invited me into his light, spacious Cape Dutch home, part barn, part chapel, all open-plan—a family retreat from Cape Town life where he is an advertising executive. We tasted his wines in the kitchen where he and his wife stick on the labels and dip each bottle into a pot of hot wax to seal the tops; this is what you get if you blend a man with a flair for marketing and the romance of wine. His wines are rustic, for sure, but delicious, and more than that—particularly notable as we tackled a vertical of Cabernet—they tell a story richer than soils and vines. The story of his family growing up over the last eight years, of learning to make wine by happy trial and error in his garage / winery, of competing at harvest time with his grape loving hound; this is what it really is all about. I am a huge fan of Bouchard-Finlayson. Coming from the Willamette Valley I was super impressed with their Pinot Noir. My experience at Hamilton Russel was horrific and I found the wines to be of mediocre quality. My own opinion. Looking forward to visiting Bouchard-Finlayson again on my annual trip home.